This was a pretty random idea that came to me out of nowhere the other day, but clearly it was from the heavens above. 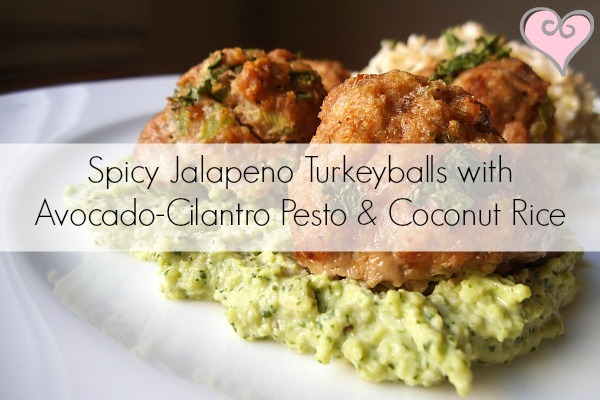 So to break it all down, lets start with those little spicy balls of yumminess. 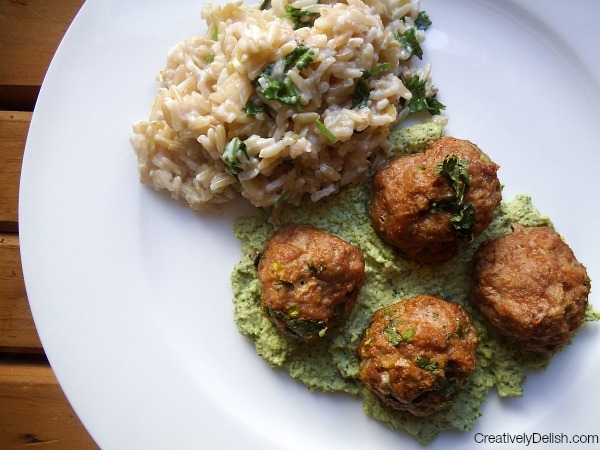 Don't be afraid of the title of this recipe - these aren't that spicy, but even if you're extremely sensitive to spiciness, the rich and creamy, cool as a cucumber pesto will calm it down just perfectly. A perfect combination of cool cilantro, spicy jalapeno and the zing of a green onion blend together with garlic powder, salt, pepper and chili powder. 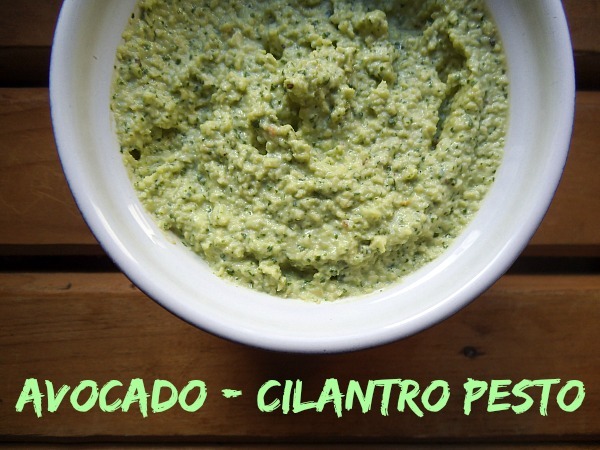 The Avocado-Cilantro Pesto was so easy to make! Simply combine all the ingredients in a Cuisinart or blender and voila! 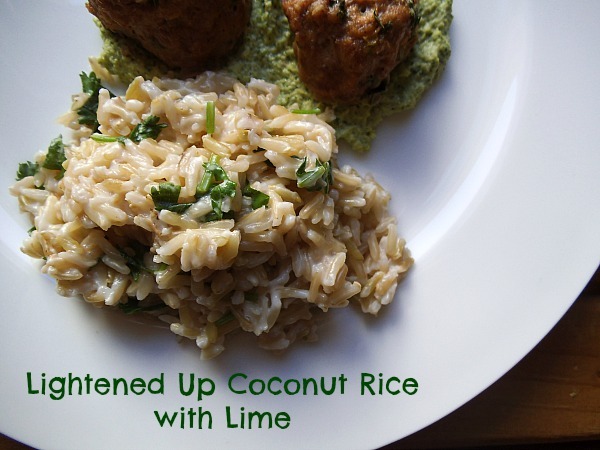 The Coconut Rice was lightened up by using Brown Basmati Rice for additional nutrition and added flavor, along with Light Coconut Milk and a touch of lime juice and salt. This was my first time experimenting with this type of rice and it worked perfectly, so I promise you can do this easily as well. There isn't a strong coconut taste for anyone that dislikes the flavor - the milk simply adds a creaminess to the dish. To make the Lightened Up Coconut Rice, combine one 13.5oz can of light coconut milk with one cup brown basmati rice in a saucepan and bring to a boil. Once boiling, reduce to a simmer and cover and let steam for 40 minutes. Once the rice is done, fluff with a fork and squeeze the juice of one lime in with a dash of salt (add more if you prefer). In a large bowl, combine turkey, jalepeno, onion, garlic, panko, egg, s&p (about 1 tsp each) and chili powder until it forms a big ball. If it is too wet, add more panko, if too dry, add half an egg or one whole egg. You don't want the ball to be runny - it should be wet but moldable. On a lined and greased baking sheet, form turkey mixture into balls (about ¼ cup mixture for each) and line them on the baking sheet. 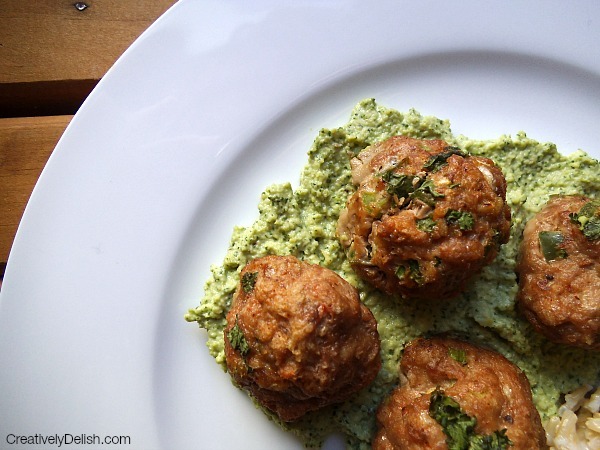 Bake turkeyballs for 25-30 minutes or until lightly browned and coked through. While they are baking, place all pesto ingredients together in a cuisinart, blender, hand mixer or bowl, and pulse all ingredients together to combine.